In a world where nearly 5,000 children die every day from diseases caused by unclean water, about one in nine human beings don’t have enough clean water to drink, and roughly 2.5 billion lack adequate sanitation, more help is needed. This list will be updated periodically, so check back soon. 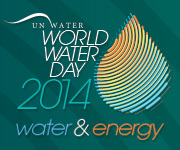 Another link for your list: http://www.wateraid.org – fantastic charity working for clean water, sanitation and hygiene.